Online Enrollment for the 2019/2020 school year is open. 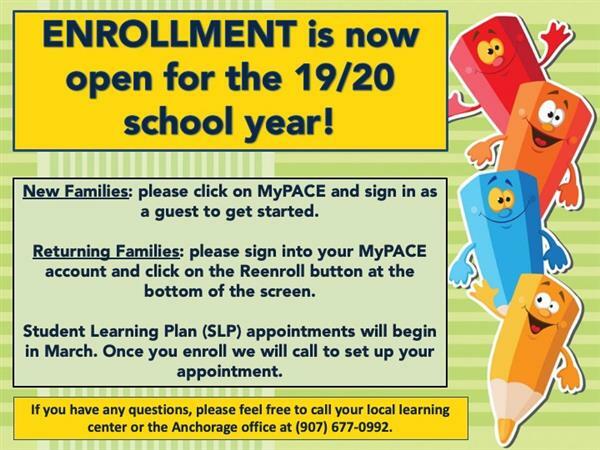 If you are a returning family, use your MyPACE login to re-enroll. Are you a new family to PACE? If you would like more information, please click here to view our FAQs page or call us at 866-864-5491. If you are ready to enroll, click here and "Sign in as Guest". We offer homeschool programs and support for Alaskan families. 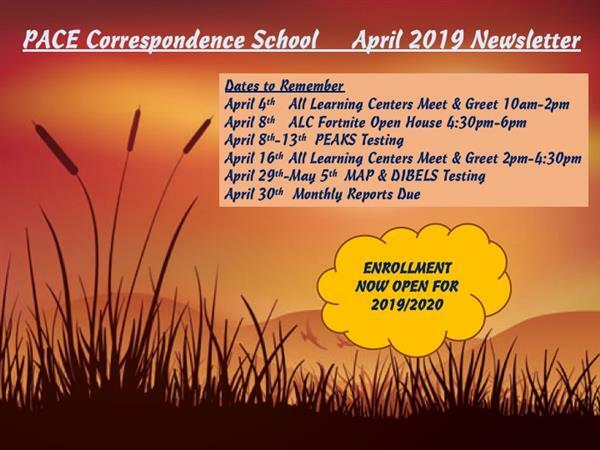 A correspondence school is homeschool learning through parent-provided education at no cost to the family. 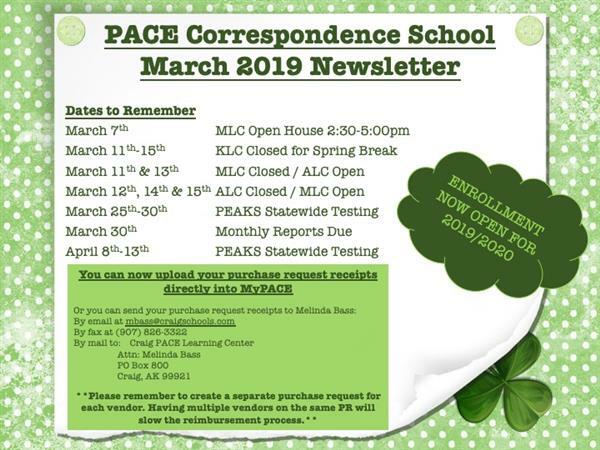 PACE offers curricular support and individualized assistance from state certified teachers through the use of public school funds. We provide guidance, support, and targeted curriculum for homeschool students statewide to become responsible citizens in culturally diverse communities. The District is seeking to locate children within its boundaries who may have a disability. For a list of services & further information, click here.